Product Number: JCSFRES6X6SKFor those who would like to emphasise the ceiling design, we recommend T.. Product Number: JCSSTAR6X6SKAMF Thermatex Star is a high density mineral ceiling tile with a smooth .. Product Number: JCSSTAR12X6SKAMF Thermatex Star is a high density mineral ceiling tile with a smooth.. Product Number: JCSTOPIQ6X6SKTOPIQ® Prime combines excellent technical performance with simple elega.. Product Number: JCSPLSKThe AMF Econim Planet is a cost effective ceiling tile which is perfect for t.. 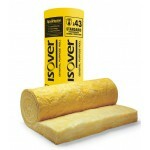 Product Number: JCSSTRATOS12Knauf AMF Thermatex Feinstratos is a lightly textured sanded tile with a.. Product Number: JCSAMFDBThermatex dB Acoustic offers the right solution for increased sound attenuat.. Product Number: JCSALPHAB6X6SKTHERMATEX® Alpha is a mineral ceiling tile providing high sound absorp.. Product Number: JCSALPHA6X6SKTHERMATEX® Alpha is a mineral ceiling tile providing high sound absorpt.. Product Number: JCSSTRATOSKnauf AMF Thermatex Feinstratos is a lightly textured sanded tile with a c.. Product Number: JCSSTRATOS19Knauf AMF Thermatex Feinstratos is a lightly textured sanded tile with a.. Product Number: JCSMERC6X6SKThe ceiling tile THERMATEX® Mercure offers excellent physical properties.. Product Number: JCSMERC12X6SKThe ceiling tile THERMATEX® Mercure offers excellent physical propertie.. Product Number: JCSMERCCUTSThe ceiling tile THERMATEX® Mercure offers excellent physical properties .. Product Number: JCS2534MThe Academy Merit is a fine textured, perforated tile. Designed for schools,.. Product Number: JCSBIO2549MLooking for a strong, reliable tile? Look no further than the Bioguard Ac.. Product Number: JCSBIO2221MLooking for a strong, reliable tile? Look no further than the Bioguard. B.. 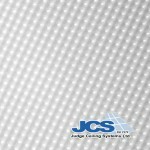 Product Number: JCS607MArmstrong Ceramaguard has a unique high density mineral fibre composition whi.. Product Number: JCSCRFL9527MSpecialist tile for hospitals and hygiene areas. This tile features a du.. Product Number: 9121MBK For cinemas, theatres and other spaces where your suspended ceiling needs t.. Product Number: JCSCORTEGA6X6SKGreat looking tile at a great price? Look no further than the Armstro.. Product Number: JCSCORTEGA6X6RGreat looking tile at a great price? Look no further than the Armstron.. Product Number: JCS2539MThe Academy Diploma is a fine textured, perforated tile. Designed for school.. Product Number: JCS2271MCreate a more distinctive suspended ceiling: Armstrongs Dune Supreme offers .. 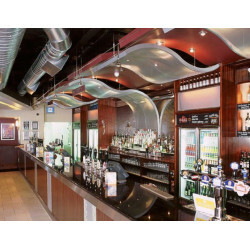 Product Number: JCS2273MCreate a more distinctive suspended ceiling: Armstrongs Dune Supreme offers .. Product Number: JCSFINE6X6SKGreat looking tile at a great price? Look no further than the Armstrong .. Product Number: JCS3687MArmstrong Hydroboard is as stated in its title. It has amazing humidity resi.. Product Number: JCSDL100MBThis finely textured tile is engineered specially for excellent fire resis.. Suspended ceiling tiles don’t just look great. Whatever your room, whatever the space, suspended ceiling tiles from judge will help you save on your energy costs, improve acoustics, and help you keep your environment safe and hygienic. In fact, whatever the space, there’s a Judge suspended ceiling fit for the job. Look up. If there’s a suspended ceiling above you it’ll probably be filled with suspended ceiling tiles from Judge. Our suspended ceiling tiles are above offices, hospitals, power stations, Armed Forces bases and schools everywhere. But whilst we’re proud to work with the public sector and larger organisations, we’ll happily supply for smaller projects too. So if you're a tradesman, order your board style ceiling tiles from Judge. And if you just need a single pack of replacement ceiling tiles for your existing suspended ceiling, we’ll supply that too. Board style: A board style suspended ceiling tile is a flat tile which, when inserted into the ceiling grid, sits flush with the grid. Reveal style:The rebated edge of a reveal style suspended ceiling tile means that, when laid in place, the tile face sits proud of the grid. Need help? 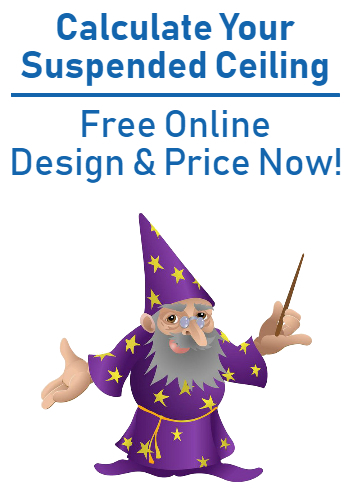 Find advice on fitting a suspended ceiling grid, or you can contact us and we'll make installing your suspended ceiling easier. Replacement ceiling tiles, reveal style ceiling tiles, accessories and fixings. Whatever you need, buy online with confidence. Buy with Judge. If you have any questions call us on 01253 864 902. In the trade? Why not open a trade account with Judge Ceilings.